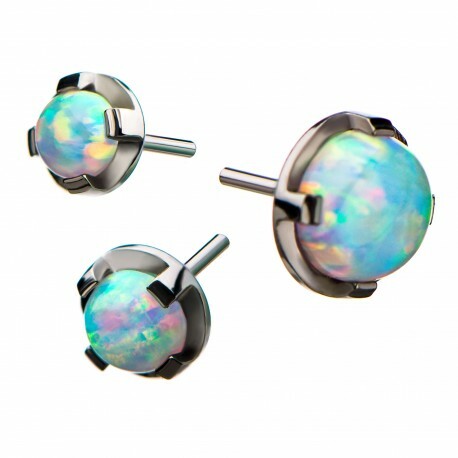 Threadless White Synthetic Opal Tops made entirely out of Implant Grade Titanium (Ti-6AL-4V-ELI ASTM F136). Has a flat back so it can sit flush on the skin especially for nose and cartilage piercings. Compatible with any Invictus bar or base in any gauge. Sold Individually.